Warner Bros. has just opened a tour of the studio in London where its "Harry Potter" films were shot — replete with a tour of Hogwarts. Hogwarts Castle is ready to welcome the Muggle multitudes. Here, on a film studio sound stage near London, stands the real Hogwarts — or at least a monumental model of the fictional wizarding school, the very one used in the eight "Harry Potter" movies. 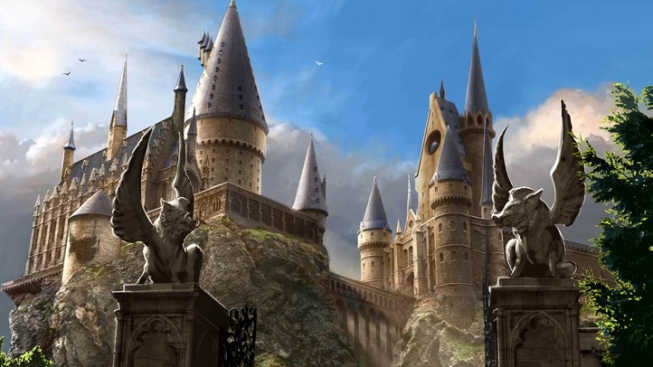 The minutely detailed castle now forms the climax of "The Making of Harry Potter," a behind-the-scenes studio tour based at the Warner Bros.' facility where the films were made between 2000 and 2010. It may only be a model, but for Potter fans it's already a place of pilgrimage. 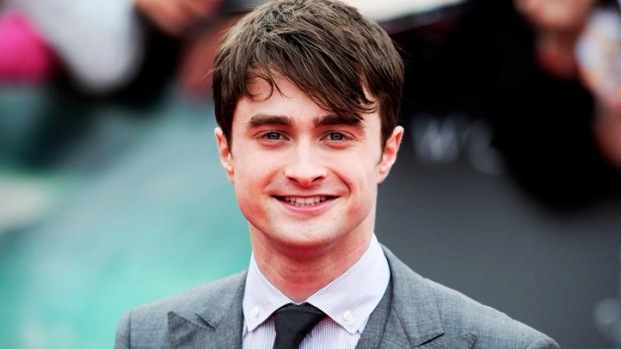 Daniel Radcliffe says he's "very happy" with how the "Harry Potter" film franchise ended, talks about his "Beatles moment" in Japan and gushes about living in New York. "I had to literally stand there for 10 minutes and just absorb it," said Cee Anatole, who works for a fan website and had a preview ahead of Saturday's grand opening. "The attention to detail — it was just amazing." Warner Bros. hopes the general public will be equally enthusiastic. The studio expects 5,000 people a day to visit the attraction, which is selling itself on its authenticity — it features real sets, models, props and costumes from the films, on the original studio site. The first, and most spectacular, set visitors encounter is the Great Hall of Hogwarts school, complete with stone floor, Gothic arches, gargoyles and huge fireplace. Later come the dormitory where the young wizard slept, the office of headmaster Albus Dumbledore, the giant Hagrid's Hut and Diagon Alley, the magical shopping street that's home to Ollivander's wand shop and Weasley's Wizard Wheezes. Famous for her stellar role as Bellatrix Lestrange in the Harry Potter movies, Helena Bonham receives the British Artist of The Year award. 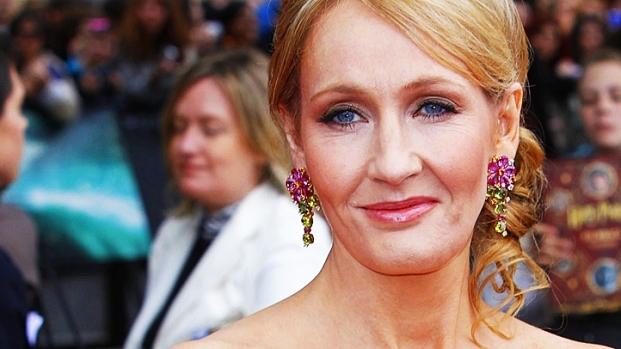 She describes how she gruesomely dies in her next two films, "Great Expectations" and "Dark Shadows." The tour is an almost overwhelming feast of detail. Displays range from Mrs. Weasley's self-knitting sweater to boxes of Cheery Owls cereal, potions bottles filled with plastic newts and real animal bones and 17,000 individually painted wand boxes. It's nirvana for Potter fans — and for film geeks, who can watch designers talk about their work in short films, ride a broomstick in the green-screen effects room and see how makeup, prosthetics and animatronics brought hundreds of magical creatures to life. The goal is to pay tribute to the hundreds of unsung technicians and craftspeople who reinvented author J.K. Rowling's magical universe for the big screen. "There's so much work that you couldn't see, so much work that just became part of the film," said David Heyman, a producer on all the Potter films. "This is a tour for Harry Potter fans, but it's also a tour for people who are not necessarily Harry Potter fans," he said. "It's such a good insight into the making of a film ... basically a how-to." Warner Bros. is clearly proud of its new attraction. One of the creators' few regrets is that trains to Watford, which will carry many of the site's visitors, leave from London's Euston station, rather than nearby King's Cross, whose imaginary platform 9 3/4 was the terminus of the Hogwarts Express. Rearranging the railways is beyond even Harry Potter's powers. The attraction is part of Warner Bros.' 100 million pound ($160 million) redevelopment of Leavesden Studios, a former World War II airdrome 20 miles (30 kilometers) northwest of London, into Europe's largest filmmaking complex. In addition to the tour, the working studio due to open later this year will have sound stages, workshops, offices and the biggest backlot in Europe, and make Warner Bros.' the only U.S. studio with a permanent base in Britain. Those who worked on the film say the transformation is remarkable. "What is different and strange is that the roof is not leaking," said David Yates, who directed the final four Potter films. "And it's not dusty, it's not drafty and it's not cold. We literally were working in big sheds." Warner Bros. is not estimating the lifespan of the attraction, which employs about 300 people, including a horde of Potter fans working as enthusiastic tour guides. But it says Pottermania shows no signs of waning. Initial reviews have been largely positive, though some have questioned the admission price — 28 pounds ($45) for adults and 21 pounds ($34) for children five and over. Children under 5 go free. Warner Bros. says the charges are "in line with other major attractions in the U.K. and around the world." The attraction has already won over an important group of fans: the cast. "I found it quite moving, actually, coming back," said Rupert Grint, who played Harry's best friend, Ron Weasley. "I sometimes had to remind myself that we weren't doing a scene, because it's so authentic. "This is a special place for me. I basically grew up here, went to school here. It's just nice to be able to share it with everyone."